Can You Still Find A Foreclosure In Tallahassee For Forty Cents On The Dollar? Recently a homebuyer asked me if you could still find a foreclosure in Tallahassee for forty cents on the dollar, so I decided to look. Here are 46 foreclosures in Tallahassee, and yes, one of them has indeed been reduced in price by 60%. When we meet with a first-time homebuyer, the topic of foreclosures and distressed property often comes up, as the buyer assumes there are riches hiding in this listings. Sometimes this is true. For example, the first listing shown above, 2771 Millstone Plantation Road, was first listed for sale at $1,500,000, and now is available for $599,900. This is a 60% reduction off of its initial asking price (forty cents on the dollar). But does this make it a good buy? A steal? Perhaps. You would certainly need to go see the property in its present condition to assess its current value. But there is a smarter way to find a great deal in the Tallahassee real estate market than by merely trolling foreclosures. 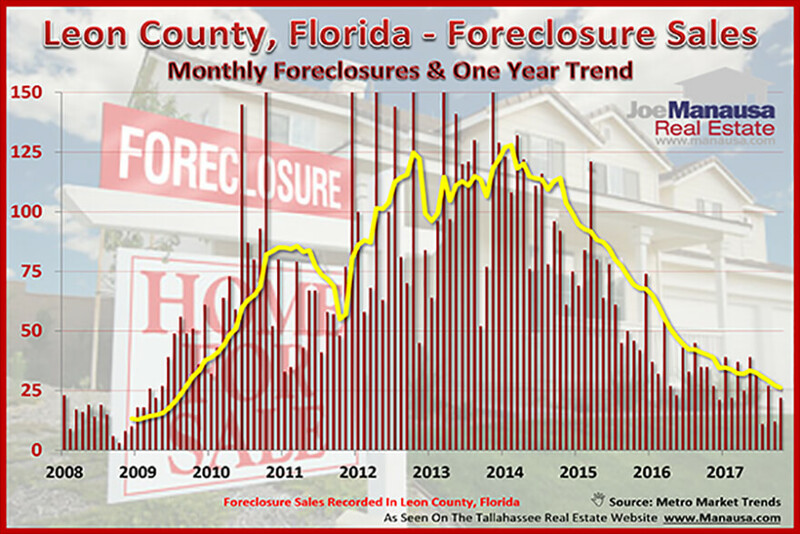 Foreclosure Market Returning To "Normal"
When you look at the graph of Tallahassee Foreclosure Sales above, you'll see that the number of these distressed home sales is declining steadily. Presently, the average number of foreclosure sales each month in Leon County is down to 25, the fewest reported since more than 8 years ago and only 19% of the level we experienced at the peak of the housing market recovery in 2012 through 2014. As we see fewer and fewer distressed properties listed for sale in Tallahassee, their impact on the market will soon become negligible (the "normal" we experienced throughout the 1990s). In my experience, the mistake made by most people when buying a foreclosure is that they give too much credence to past value and lack concern about the cost to improve or return a property to its market condition. I'm always amazed when somebody "steals" a property for forty cents on the dollar, and then spends the sixty cents to bring it up to its proper condition. Did they really steal a property if they ended up spending 100% of its market value to both acquire it and re-condition it? My advice is quit looking for foreclosures, and start looking for the best deals in the Tallahassee housing market. 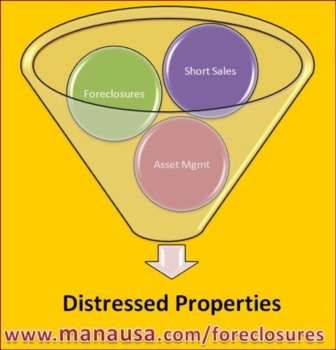 Some will be foreclosures, some will be other types of distressed properties, some won't even be on the market yet. The key is to end up with a home that is worth more than you paid, right? Even if its an arms-length transaction, you just want to acquire as much value for as little cost as possible. Nobody is better qualified to help you in this quest than the Buyer Specialists at Joe Manausa Real Estate. Take a moment to give us a call at (850) 366-8917 or drop us a note and we'll schedule a time to sit down with you and reveal the best deals on and off the market in Tallahassee.